The natural herb Kratom has been added to the list of Opioids, according to the Food and Drug Administration. After pushing for the ban since September of 2017, the DEA has now successfully classified the herb has a schedule 1 narcotic, just like heroin, ecstasy, LSD, and Marijuana. The administration has been citing “Imminent hazard to public safety”. After staving off the final vote to leave open comments from the public, the DEA “had received numerous comments from members of the public challenging the scheduling action and requesting that the agency consider those comments and accompanying information before taking further action,” Chuck Rosenberg, acting administrator, wrote in the preliminary document. While this open comment section was open to public input, the DEA requested the FDA to speed up its research of the scientific and medical evaluation of Kratom and its scheduling recommendation. The results showed kratom has a high potential for abuse and added it has no medical use. This immediately sparked outrage in the opposing community and begun the inpouring of users who had personal experiences with success from using Kratom. Advocates for its use to combat heroin addiction says it is a powerful tool that can be used to curb opioid cravings, and offer relief from pain, depression and anxiety. Even Research scientists became involved and pushed for the reversal of the DEA’s decision, saying the ban would harm their ability to study whether Kratom can help treat pain and addiction. According to the American Kratom Association, there are 3 to 5 million users in the United States. It was then bought up in droves before the ban was put into full effect. 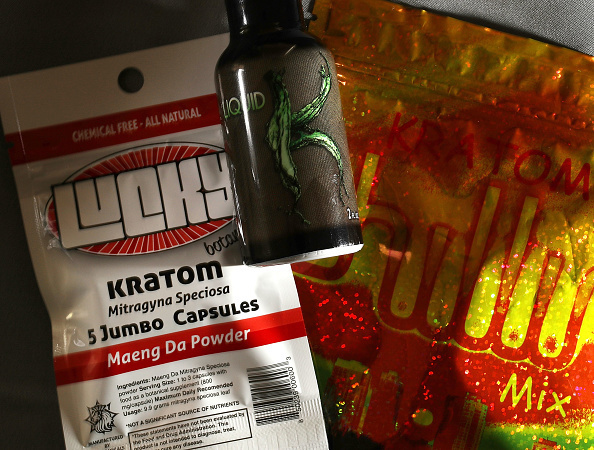 It can be purchased in power, pill or capsule form at gas stations and head shops around the country. The ban has been considered for several years, but the push for a more concrete decision came when US Poison Control Centers received 263 in 2015 for Kratom. This is up from 26 calls in 2010. However, only 7% of the calls were concerning serious side effects, including one fatality, but most calls were for minimal to moderate side effects. Despite the poison control report, the FDA cited the Adverse Event Reporting system claimed 44 deaths were that were associated to Kratom. After more research was conducted, the FDA operated a computer modeling that predicted that the chemical compounds found in kratom bind similarly to the same receptors as narcotics like hydrocodone and oxycodone. Independent researchers call baloney, saying the agency has made too broad of a statement and it’s disqualifying other important compounds in the drug than can provide pain relief at a much milder level. Scott Hemby is the head chairman at the Department of Basic Pharmaceutical Sciences at High Point University in North Carolina and has been researching the herb and its abuse liability for years. He has also seen the kratom compounds, Mitagynine and 7-hydroxymitragynine, bind to opioid receptors like opioids do, but at a much more toned-down level than heroin or prescription drugs. 7-Hydroxymitragynine when tested in the alkaloid’s abuse potential resulted showing that it does have addicitive qualities, but when looking at the plant as a whole, the element is so small that it makes the Kratom has a very low abuse potential. Other researchers question the 44 cited deaths by the FDA, saying the results are not from toxicology or autopsy reports, but rather self reported. Christopher McCurdy from the University of Florida has analyzed samples of Kratom from emergency room patients and found that they are not what the FDA is claimed to be. “We’ve, unfortunately, seen them spiked with morphine in some cases, and we’ve also seen ones that have been spiked with oxycodone,” McCurdy said. He’d also seen samples spiked with concentrated forms of 7-Hydroxymitragynine, making it more addictive. McCurdy says the research would be costly, and extensive, and finding funding for it would be an issue. Assisted Sobriety, is it Sober or Not?